The Department of Pathology offers a four-year training program in Anatomic and Clinical Pathology. The program's mission is to provide strong basic training in Laboratory Medicine and Pathology and its subspecialties. The program's philosophic mission is to develop a medical knowledge/ skill base and professional attributes that allow our resident/ fellow to independently and competently practice pathology with a life long commitment to continued learning and excellence. The program is designed to develop anatomic and clinical pathologists of the highest caliber who are competent and prepared for private or academic practice. The Department of Pathology subscribes to a three-fold mission of excellence in service, education and research. 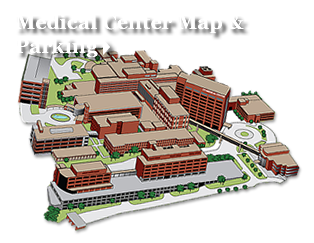 The department has provided, and will continue to provide, state-of-the-art anatomic and clinical laboratory services to our patients and the physicians who treat them at the medical center, its affiliated sites, and reference population. We are fully committed to the education of pathology residents and fellows. It is expected after completion of the program that the resident will be able to pass the American Board of Pathology (ABP) examination, obtain a fellowship of his or her choice, and enter the practice of pathology with confidence in the knowledge base obtained at our program. 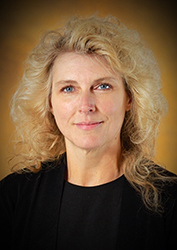 Lisa D. Duncan, MD, is the Chair and an Associate Professor of the Department of Pathology. Dr. Duncan received her medical degree from James H. Quillen College of Medicine, East Tennessee State University in Johnson City TN. She is an alumnus of the UTGSM Department of Pathology Residency Program and also the UTGSM Cytopathology Fellowship Program.